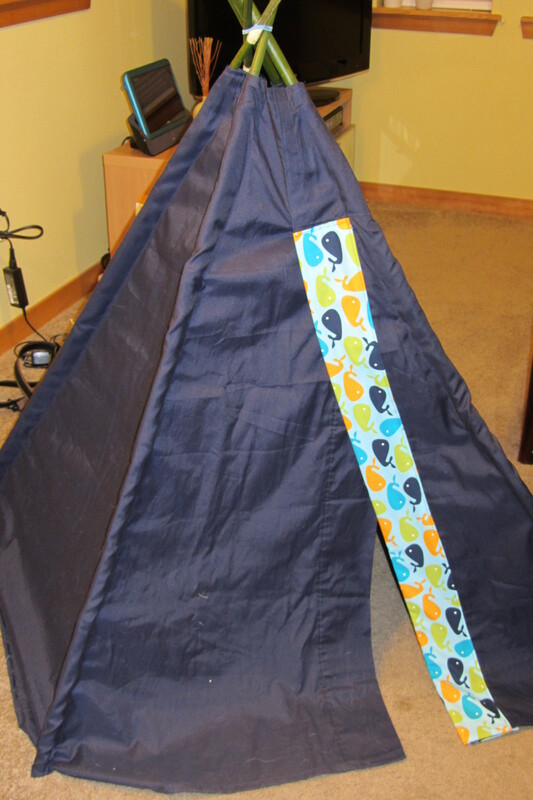 A few months ago a friend mentioned that she wanted to make a tent/fort for her 18 month old son. 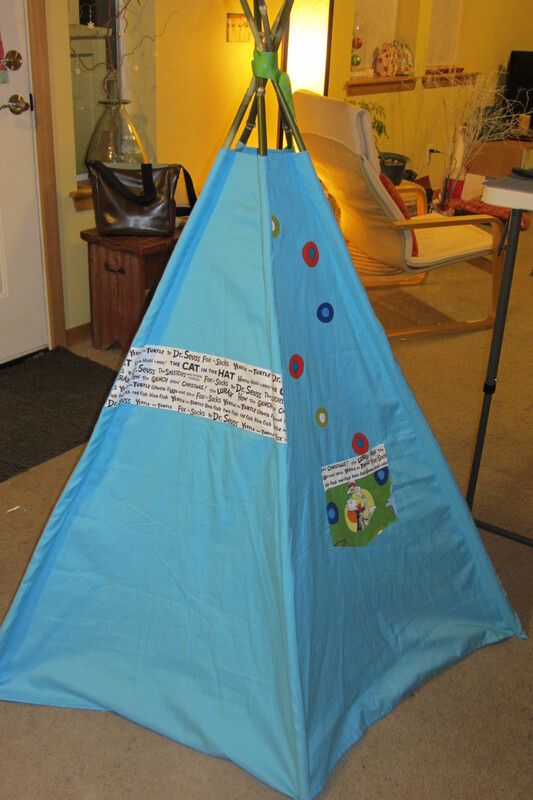 She of course also convinced me that I needed to make one for my nephew and the adventure began. Another friend wanted one, but was swamped so we decided to add her two year old son to the list for his birthday. 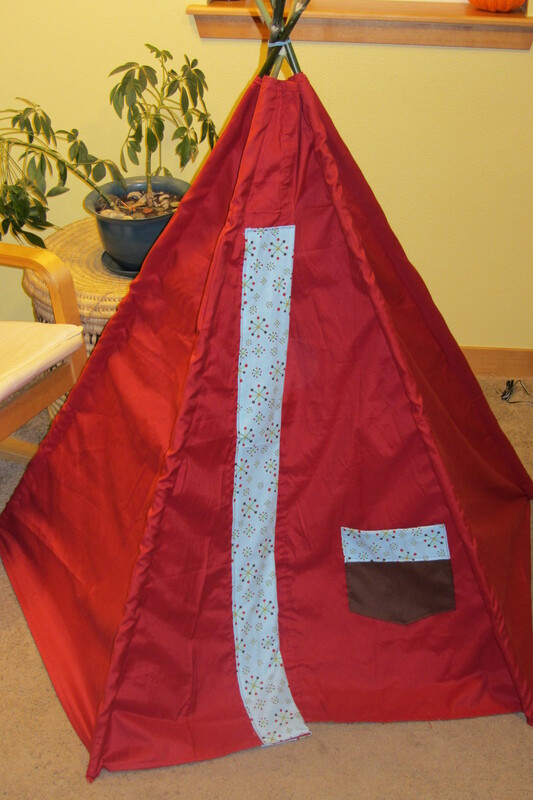 My friend doesn’t sew, so this was also a chance for her to learn – with lots of very long straight hems to sew. We were a bit nervous about getting it all correct, so added a 4th “practice tent” to the list. 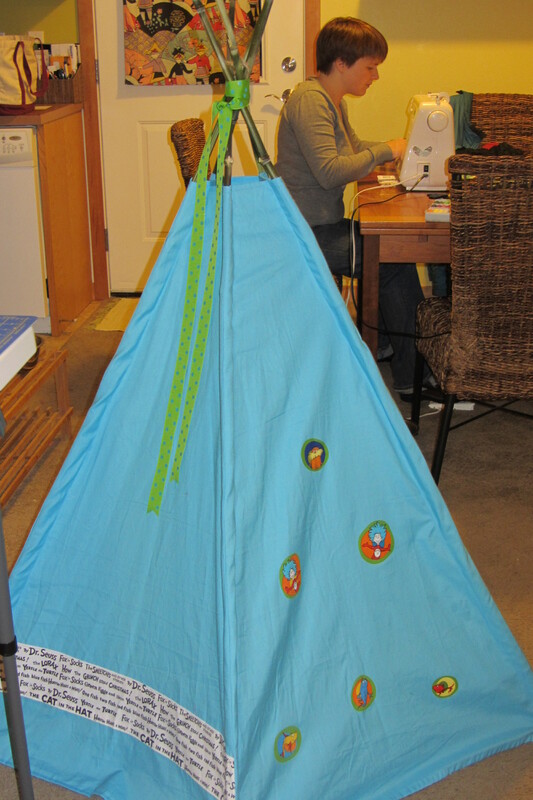 And… as we progressed another friend loved the idea and commissioned one for her granddaughter! The first one probably took about 6 hours, but once all the pieces were cut we got them down to about 3 hours each – plus whatever embellishments we wanted to add. Cutting was no easy feat. In the “you get what you pay for” mode our $3 twin sheets were a foot shorter and a foot wider than the pattern and nowhere near square, luckily Abby pulled out her math brain and we came up with new measurements. We fell into a good system of Abby doing most of the pinning and ironing and I did most of the sewing (though she did try her hand a few times). She also cut and tied the bamboo poles! 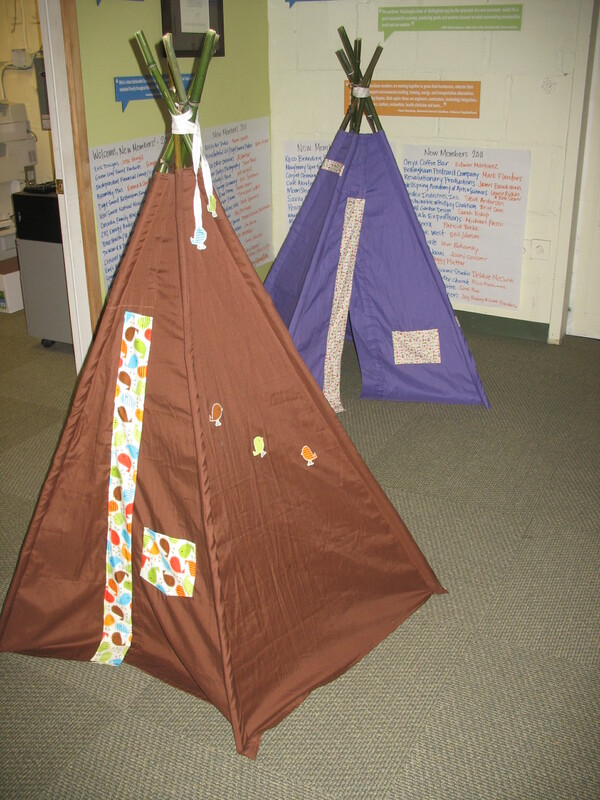 In the end we had our own super cute tent city – with thumbs up from the two older boys. 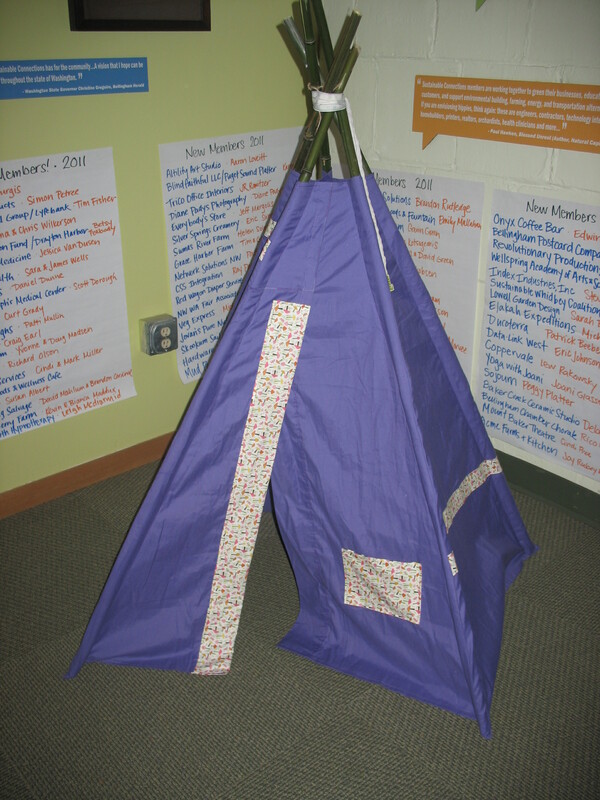 Unfortunately I don’t seem to have a photo of tate’s finished tent – Abby added really cute print, red & brown pennant flags to the top. 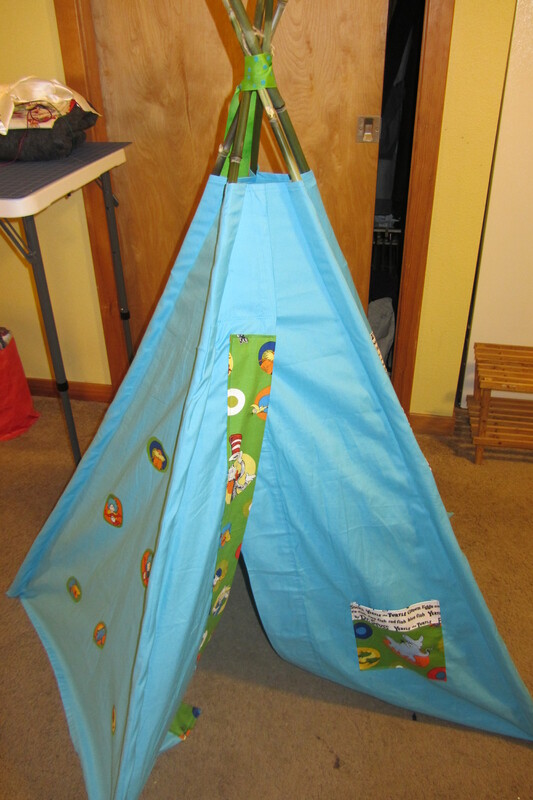 And I finally found a use for the super cute Dr. Seuss fabric I’ve been in love with for my nephews tent. Chocolate took over this year. 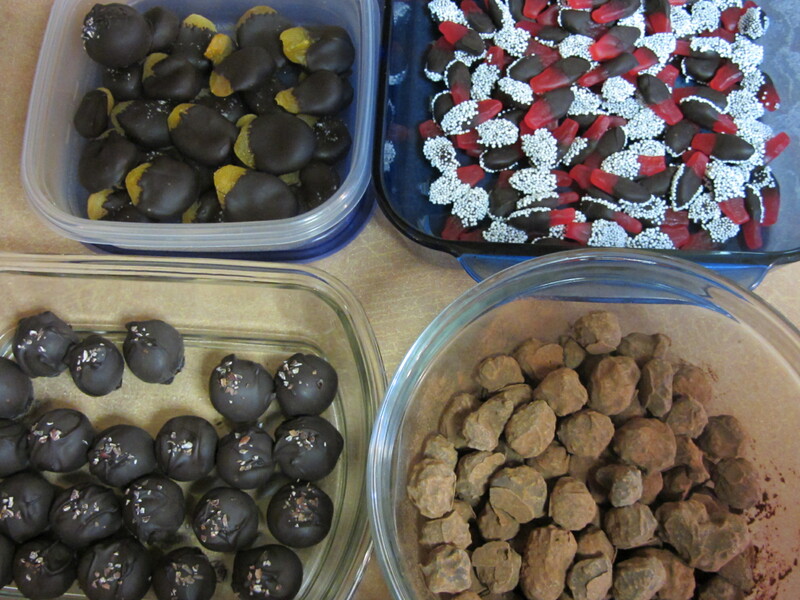 Right after our big chocolate weekend of the year, I somehow ended up elbow deep in chocolate the following weekend. It started out innocent enough… I needed cookies for a benefit concert and figured those would work for our office party too. I made a batch of these amazing (and addictive) nutmeg maple butter cookies (though I recommend adding extra nutmeg if you want to taste it and cutting them closer to 1/4 inch think for a better chewy flavor). I cutout various shapes and drizzled with dark, milk or white chocolate (I also had this amazing hazelnut milk chocolate that was perfect with these cookies!) and dipped some in dark chocolate as well. Then a variety of sprinkles: crushed candy cane, decorative sugar, maple sugar, etc… Those alone made quite a pile of goodies but they were just the trigger. The chocolate praline covered hazelnuts from the previous weekend were so tasty and easy that I made another batch – this time swapping the salt for cinnamon. Then things really got out of hand when I went to buy the chocolate peanut butter bars I always get for my brother in-law. For whatever reason they’ve now added milk powder to the dark chocolate layer (really?) so those were off the table. How to solve it? 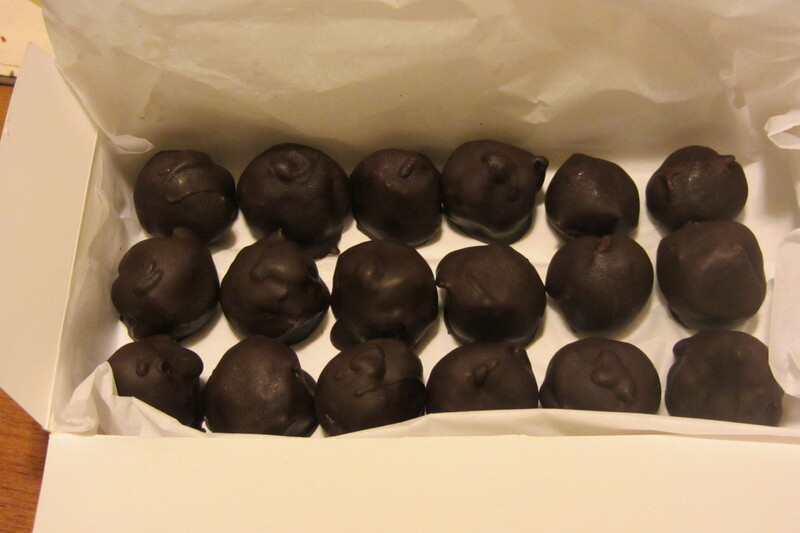 Make homemade chocolate covered peanut butter balls of course. Very tasty, but next time I hope to do them when we have tempered chocolate. 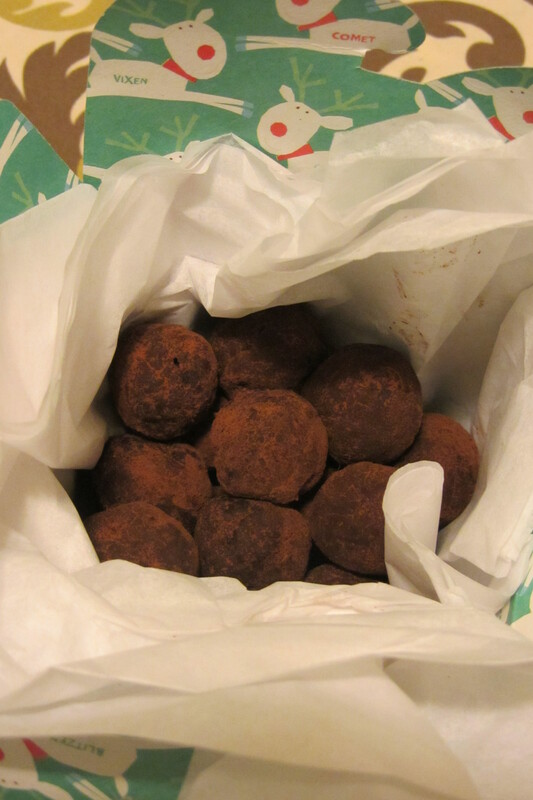 And, of course I couldn’t leave my sister out… She’d requested chocolate peppermint truffles made from chocolate mint silk. 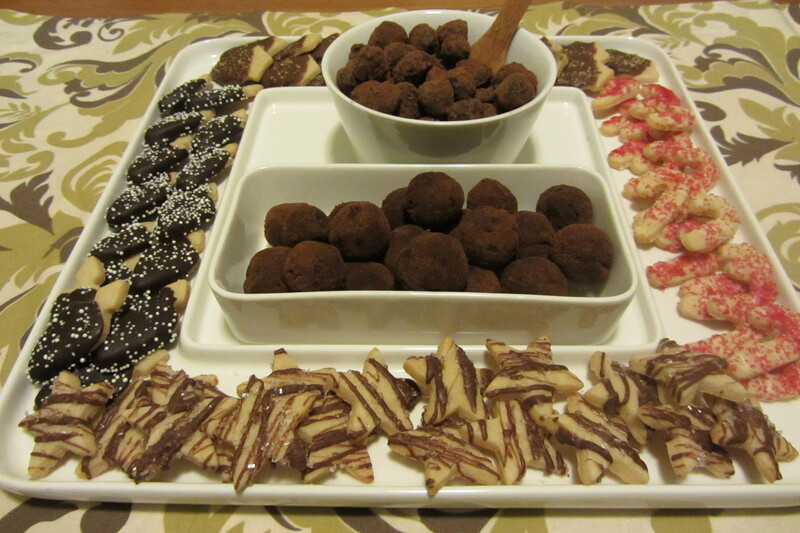 Very easy (just messy) and VERY tasty.I left out the extract and instead added some crushed candy cane to the truffles and added the candy cane dust to the cocoa powder. And finally (yes, there was more!). 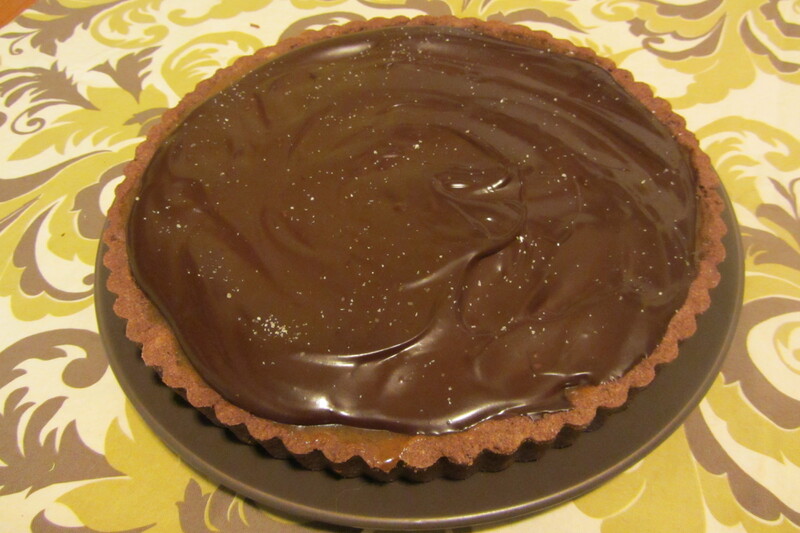 Even though I had my dessert for the office party, when my friend showed me a recipe for chocolate caramel tart I couldn’t resist. 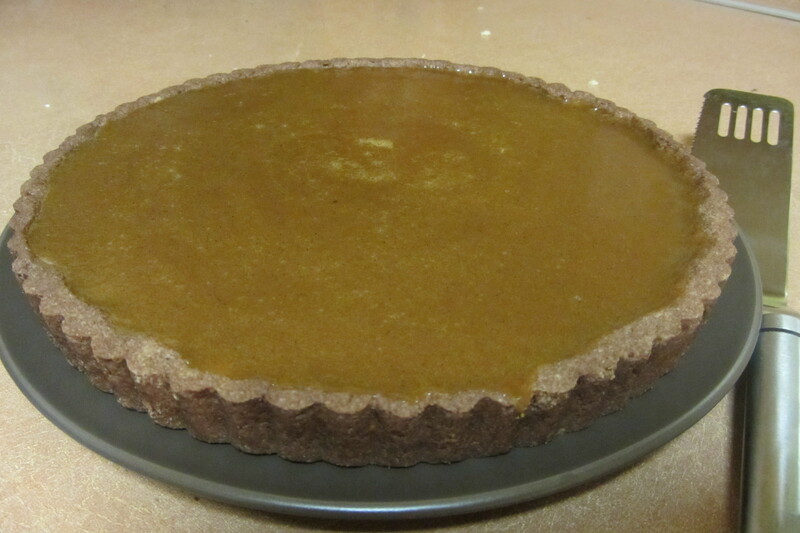 I was intimidated because I haven’t made caramel before, but it was pretty easy (just time consuming) and the tart shell was a dream – I’ll use that for other tarts in the future. It’s my favorite time of year, yes I love the holidays… but my favorite tradition is my annual chocolate making extravaganza. We decided to give ourselves a break and skipped the molded chocolates this year (and saved ourselves a good 2-3 hours). 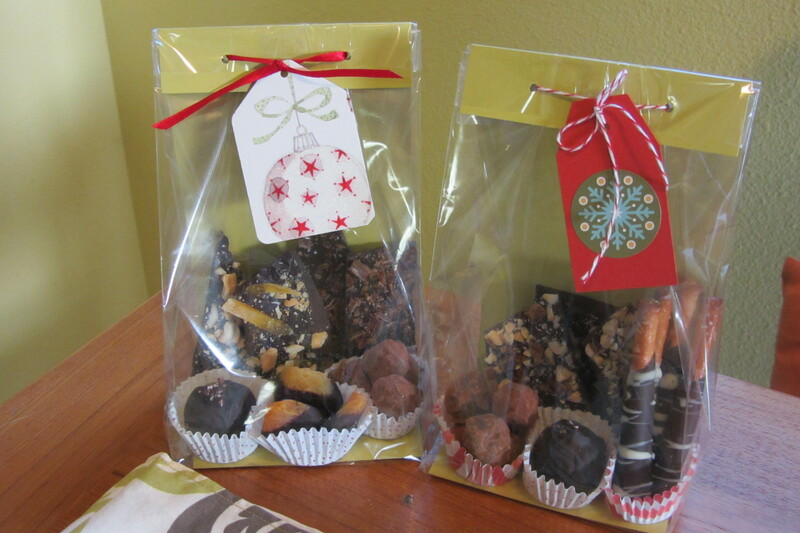 But we still tempered the chocolate and dipped and poured like crazy! 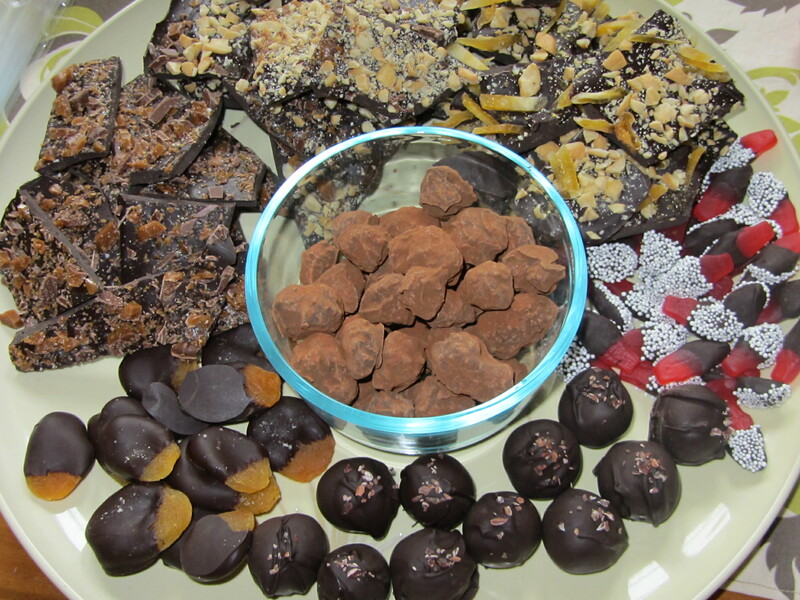 First we made some chocolate praline hazelnuts and dipped swedish fish, pretzels and apricots (with a little chilli sea salt on top). Then – this year’s masterpiece. 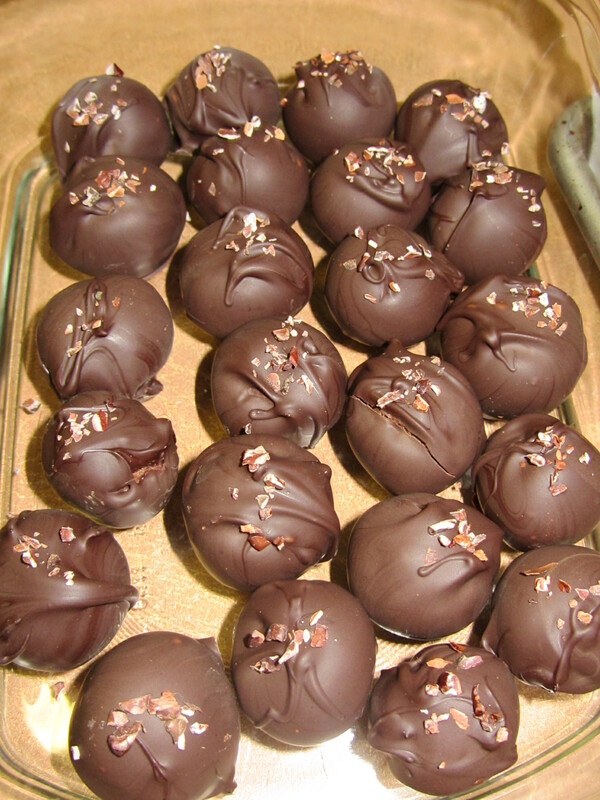 Handrolled dark milk chocolate truffles, dipped in bittersweet chocolate with a few nibs on top. The remaining chocolate gets poured into bark. 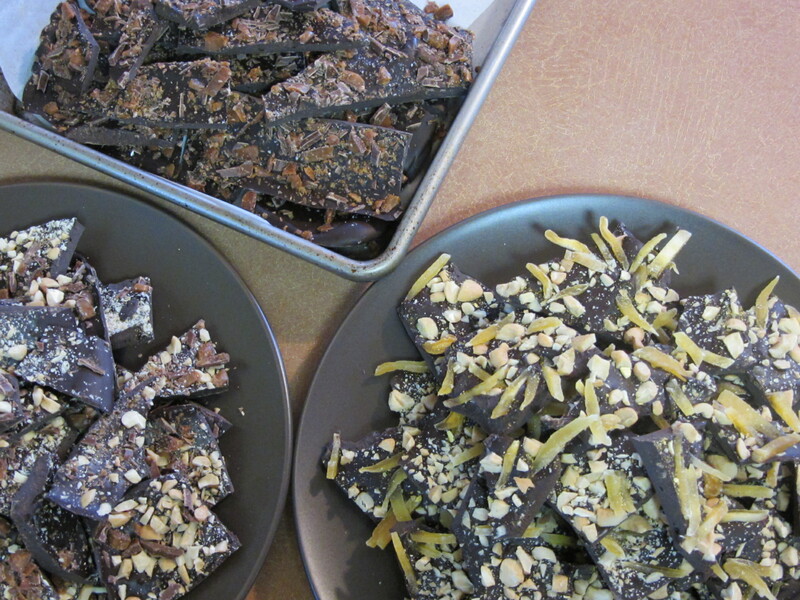 This year: mango and cashews with curried mango salt, toffee & sea salt, and toffee with cashews. At the end – it was quite a display of chocolates! 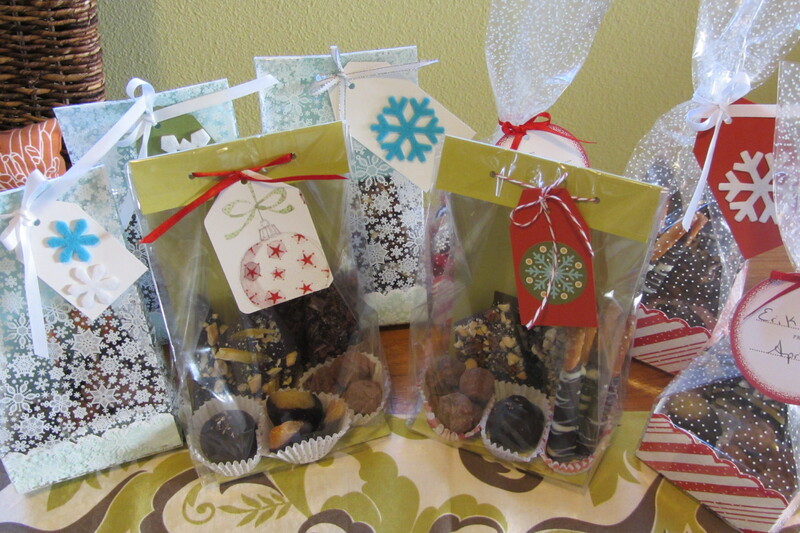 And of course, day two was the fun part… packaging them so they look as good as they taste!